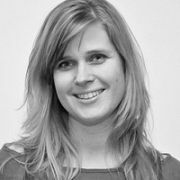 Cathrin Loose is Senior Project Manager at Schmidhuber, the #1 Agency in Germany for Spatial Communication and Design. Prior to this, Cathrin was Creative Director at Franklen Architekten GmbH in Frankfurt, where she was responsible for art direction, project management, implementation planning and construction site management of trade fair stands for major brands including BMW and Siemens. Loose has won several awards for her work, including the DDC-Award (Gold) in 2008 the DP3D Golden Flame Award in 2007 and the 2007 ADAM Award for her work for MINI.